Chaidh eaglais ùr thogail ann an Torthorwald (Alba). Lorg Franz-Joseph Müller von Reichenstein telurium ann am mèinnear. 27 an Dàmhair - Niccolò Paganini, ceòladair às an Eadailt. 1 an t-Samhain - Frederick John Robinson, 1d Biocas Goderich, Prìomh-mhinistear na Breatainn. 1 an t-Iuchar - Charles Watson-Wentworth, 2nd Marquess of Rockingham, Neach-poileataigs, Prìomh-mhinistear na Breatainn. 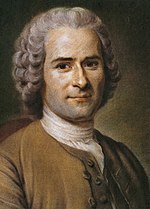 2 an t-Iuchar - Jean-Jacques Rousseau, feallsanach Frangach. Air a tharraing à "https://gd.wikipedia.org/w/index.php?title=1782&oldid=525438"
Chaidh an duilleag seo a dheasachadh 19 dhen Dùbhlachd 2016 aig 21:42 turas mu dheireadh.